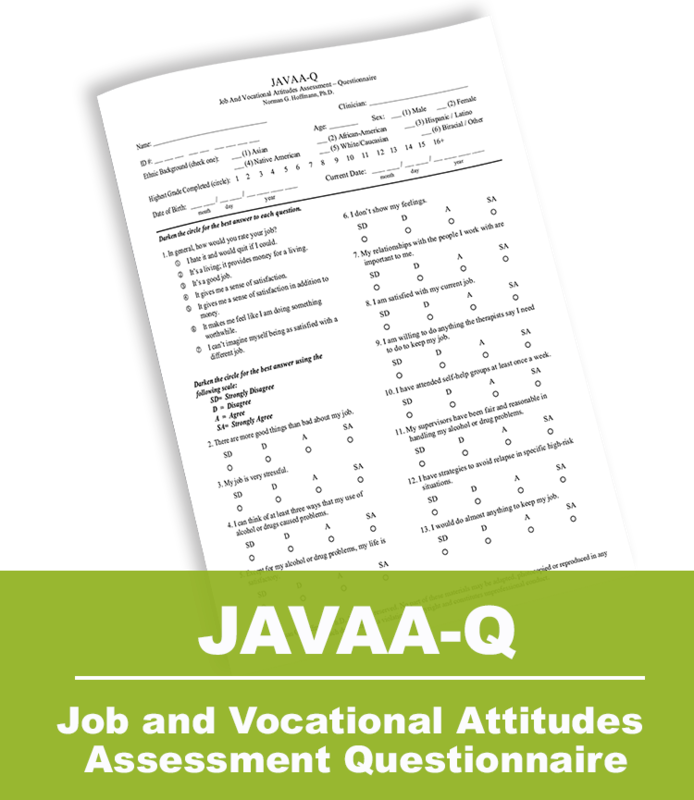 The JAVAA consists of two instruments for making return to work evaluations that can be used independently or as paired assessments to compare clinician and employee perspectives. 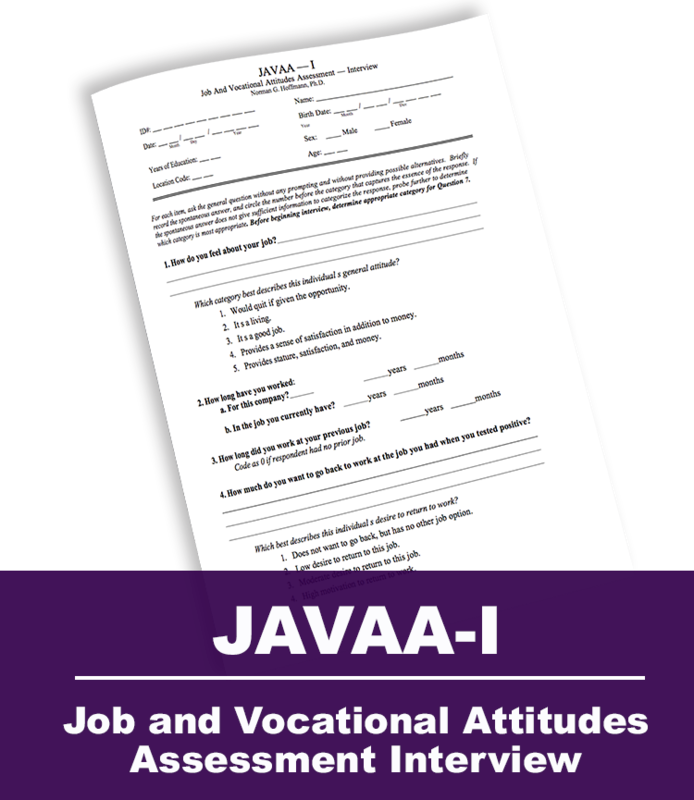 The JAVAA-I is a semi-structured interview covering key factors in making a return to work assessment. 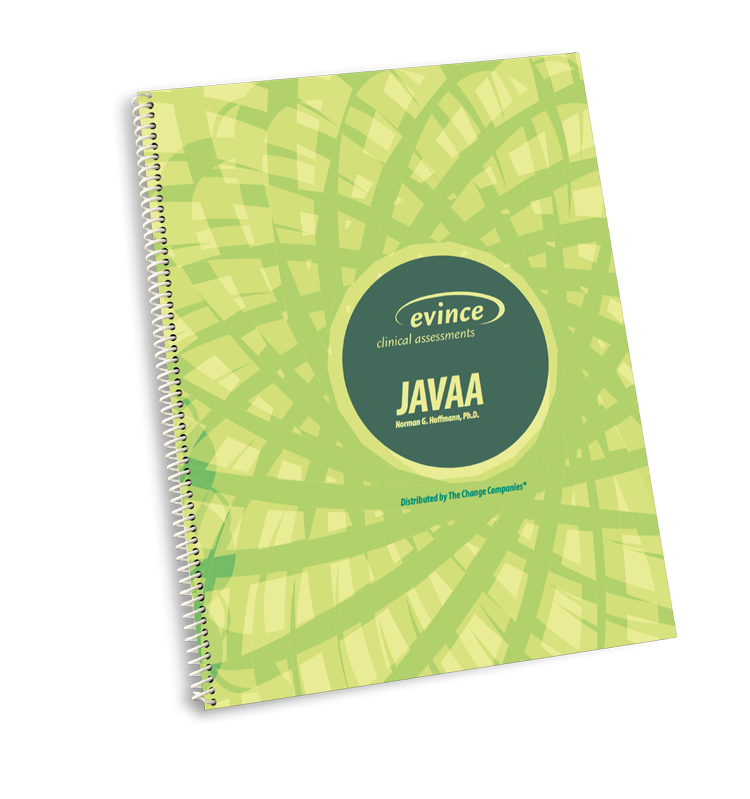 The JAVAA-Q is a self-administered questionnaire covering the same content areas. JAVAA content includes measures of attitudes, work relationships, recovery strategy, insight, emotional well-being, anger resolution and support systems. 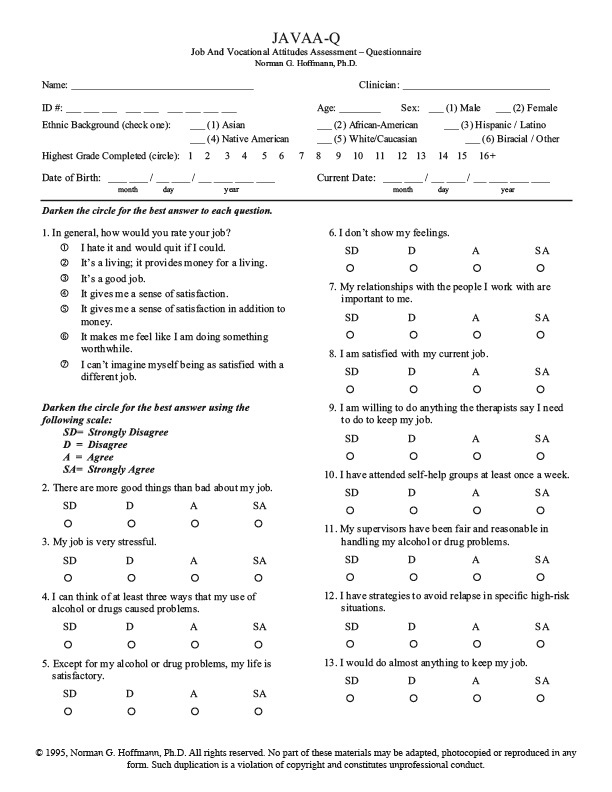 Useful as part of EAP evaluations for employees returning to the workplace after treatment for substance use disorders. Appropriate as part of case management for safety sensitive employees who have tested positive for alcohol or drugs or have gone through treatment for addictions.